Leeds website design::websites::web design yorkshire::affordable websites::business websites::eCommerce::online shop Leeds. 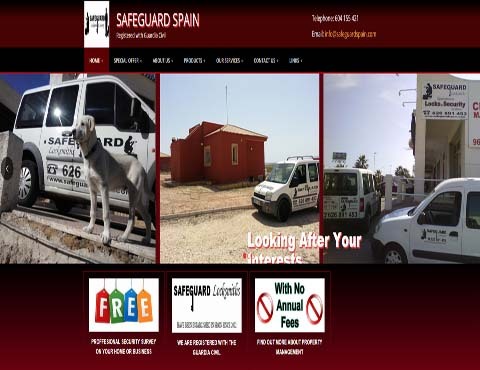 You may find yourselves asking what type of businesses Handsmedia build's website for?. Well Handsmedia can produce a website for many types of businesses and also the private sector.So even if you are not a business and would like just a personal website, consisting of a private picture gallery for family and friends,Handsmedia can help. If you are a bar owner or cafe owner,having your own website to attract new customers and to let the customers then keep in touch with any events you might be hosting,this can help in repeat customers. Entertainer's,musical artists/group's,photographers,social groups and so much more - Handsmedia has the solution for you. Video and audio can be used within your website to further enhance your audience's experience,you can even sell your songs online by means of a downloadable point of sale website. 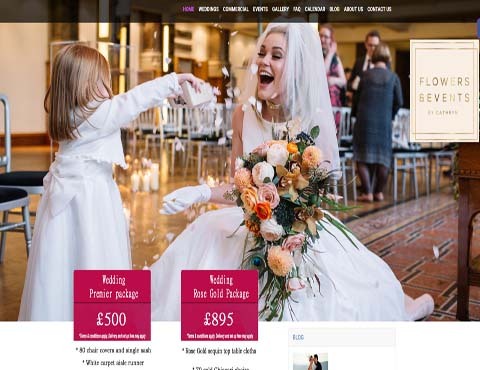 Websites for weddings, you may be getting married and want to share the whole experience with family and friends who cannot make the journey for what ever reason,they might even be a abroad.With a website you can keep them upto date with all the events.As you can see the possibilities are endless and Handsmedia are here to help you achieve this and much more. So don't delay contact us and see how we can help you. We can make the websites responsive so to reach your audience no matter what they are using to surf the web. We can customize your website to represent your business,we can add video and audio. Our competitiveness to produce a website for clients at a fraction of cost to what they have been quoted and still produce a website they can be proud of amazes them,they spread the word and in turn creates a great word of mouth recomendation for us. It's easy to get started in obtaining your website. Just contact us for a free no obligation chat. You just need an idea of what you want to convay in your website.This is done by means of text,images,video and audio if wanted.You can provide these or we can help you create this. In your web site, the content is stored in a database. The look and feel of your website hopefully will represent your business or your personal web site. If needed you can have a members login area so you can have only members login to certain content or private areas of your website. Pictures, gallery, videos, and audio. If you have photos of products you would like to display within a gallery represents no problem.This gallery can be setup for you to easily add or delete the pictures in real time so they will be instantly added to your website. Video can also be added to your website.For instance if you have company video this can be added.Video from youtube can be pulled into your website. Audio can also be added,to emphasis a company statement e.t.c. We can place any documentation you want to give your clients by means of downloads or viewable PDF files. 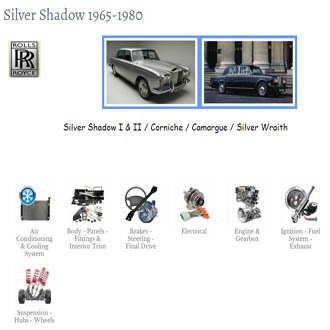 The services we offer usually out match our competitors in price and service. Our results are great for the price you pay without compromising quality or service. Our websites can be responsive so no matter what your audience use to view your website,your message will still be conveyed. If your company has some promotional videos,these can be placed on your website. We can place individual photos on your website or a full interactive photo gallery. 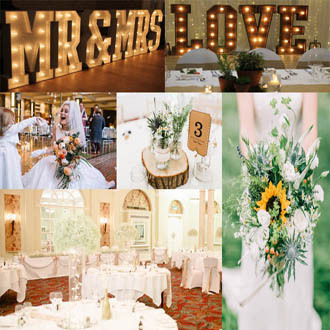 Based in Leeds and serving customers far and wide, Flowers and Events by Cathryn is a well-established florist and events management business. 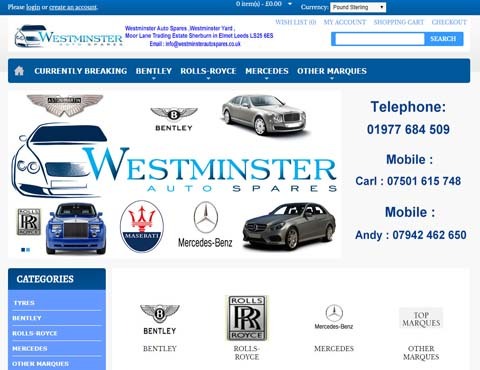 With over 35 years combined experience in the classic car trade, Westminster Auto Spares specialise in quality recycled parts for Rolls-Royce,Bentley & Mercedes-Benz cars.